Are you a HVAC sales rep or distribution agent based in the USA? If so then read on…..
Are you able to promote, link to or demonstrate our software to your existing clients? 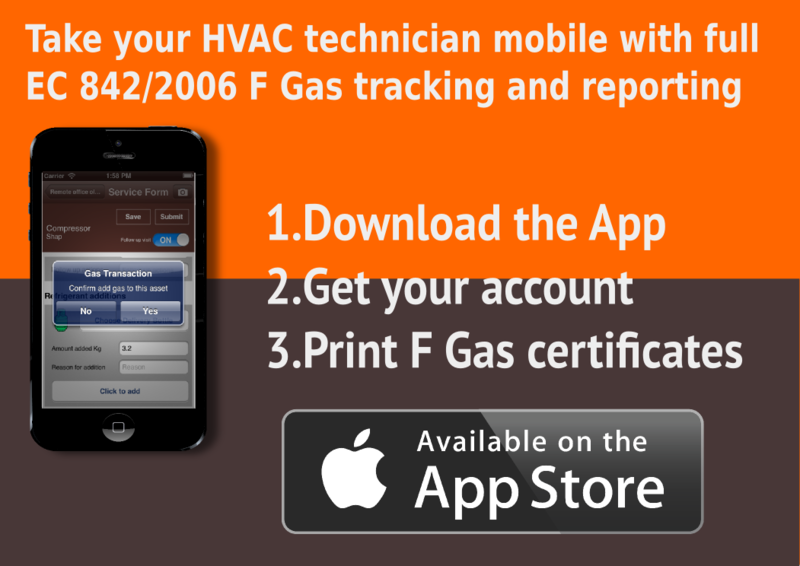 RedPoint F-Gas is the award nominated HVAC field service and F-Gas compliance/Cylinder tracking solution that is one of the most powerful, simple and flexible iOS based offerings in the world today. All in one complete, simple and affordable solution! A complete self contained sales and loyalty solution that is so easy to get started with! With rewards starting from $50 USD for converting leads via our self managed web system leading to $100 USD with 3 sales bonus of $50USD in any month, you can boost your monthly sales with no risk or outlay. 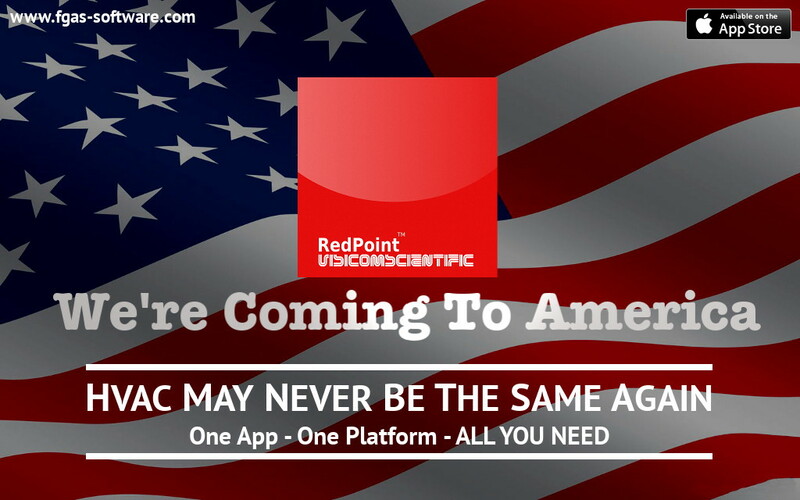 Become a RedPoint partner today and get the reward you deserve! V1.0.5 is scheduled for general update release on the 4th June 2014. The new update to V1.0.4 includes full USA Imperial and Euro/UK Metric input units to complement the already USA compatible back office platform. What does this mean for our US customers? Whilst the current version of RedPoint F-Gas Software back office already supports US centric date and measurement formats, the mobile app has until now marked measurement units in Kg/Kw and Bar. Existing USA users can still use this version of the app, however V1.0.5 removes any possibility of confusion by adding dedicated modes for USA users. Can I buy it now? The update is due to ship on the 4th June 2014 so USA users who download V1.0.4 now will be updated automatically as the app is released. The V1.0,4 app does support US imperial units input, only the fields are marked in metric. 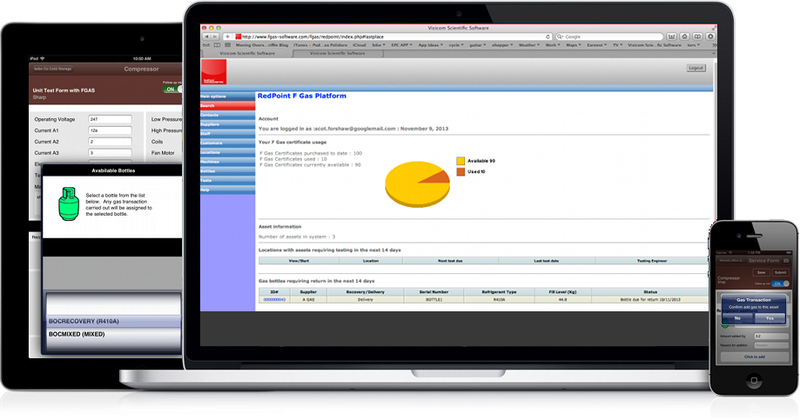 The back office platform is universal and will detect your region already. Register for your platform by choosing from 1 of our 4 great value options. Computers are supposed to make things simple. However, as the ACR industry moves closer to a fully digital future the risk of adopting several systems to manage different tasks will likely lead to serious data sharing and access problems over time. The tracking of F-Gas bottles via barcodes used to be the domain of large enterprise FM companies, however there are several emerging systems that help you keep a basic track of what bottles you have and when to return them. No bad thing? Well, not if thats all you want to do with them. The real benefit of computerisation however is the idea that all systems can talk. Until now this has been a fairly unachievable goal. If you have considered using a digital or mobile F-Gas and ACR field service solution (which many have) the problem of having more than one system holding useful data becomes compounded. You end up using bottle tracking to remind you when to return bottles, field service to schedule jobs and possible XL or some oner solution to print and manage F-Gas, ODS and service certificates. A complete turnkey solution that integrates not only bottle tracking, but F-Gas usage on a per bottle/asset basis along with a seamless field service applications that uses all common barcode systems to integrate barcode scanning into the ACR facilities management work flow. This is how F-Gas asset management should be. A single sign on cloud based solution for organisations from 1-1000 engineers that takes care of everything required to perform HVAC service and installation work wight he added bonus of complete F-Gas compliance that exceeds current requirements! Available for single engineer companies on a pay per use basis and from £360 plus Vat for multi engineer companies. Customer X is a local authority with numerous offices and commercial buildings, many of which are equipped with Air Conditioning and some with F-Gas containing heat pumps. Since the introduction of F-Gas recording legislation, customer X has strived to manage F-Gas compliance and services using a combination of paper, spreadsheets and shared calendars. The existing approach was troublesome for many reasons. Often more than one contractor was used to carry out service work on F-Gas containing assets across the local authority area. In addition, spreadsheets were often lost or corrupted. Sharing spreadsheets only added to the confusion. Large amounts of paper were in use that require storage in an accessible way. It was identified that a centrally available solution was required to reduce the chance of legally required records being lost or corrupted, reduce errors, manage contractors more efficiently and reduce the amount of unnecessary paperwork being generated. RedPoint F-Gas was employed to setup a central database of locations and responsible managers for these locations. The authority employed a single contractor to oversee management of the system and to capture asset lists for all locations during their next scheduled service. Engineers were added to the system and provided with mobile apps for their devices. All F-Gas certificates are stored electronically for immediate retrieval. The responsible contact is easily accessed securely. 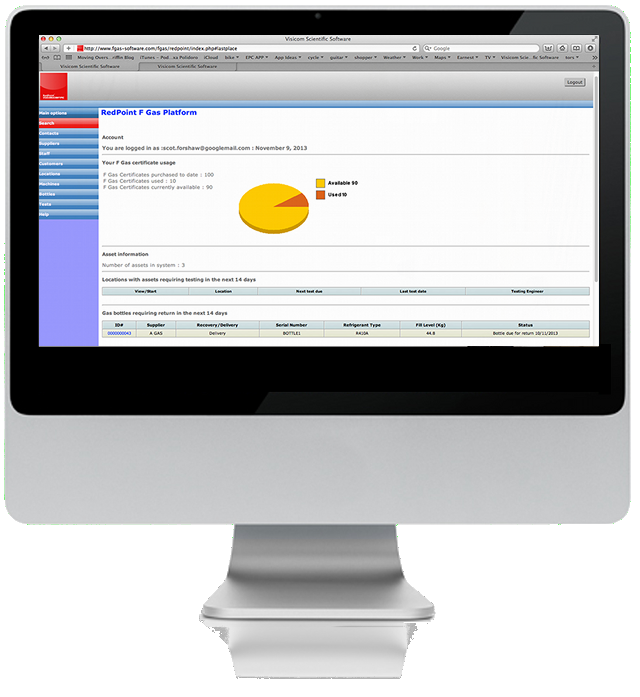 Maintain detailed records of all AC assets and their service and performance history. As scheduled services become due the appropriate contractor is notified and allocated the work. 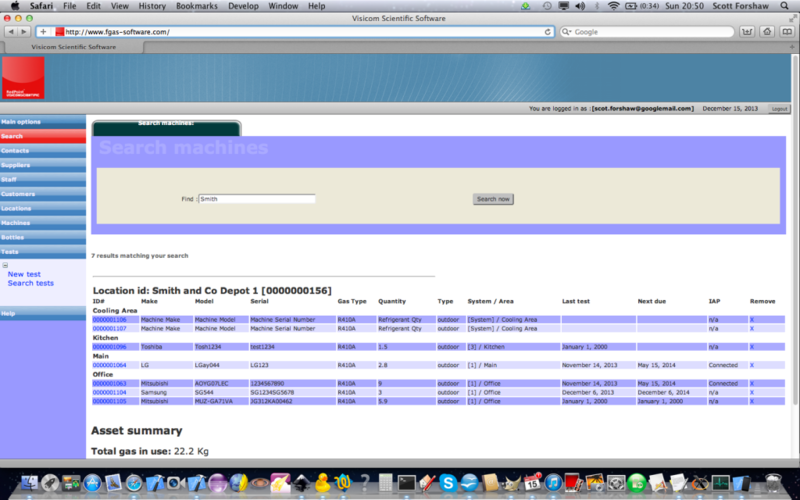 As soon as the contractor completes work the system records all service work carried out. 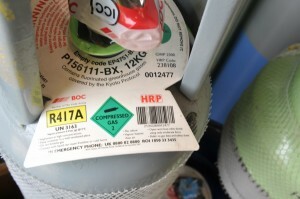 All F-Gas regulations are complied with through the use of RedPoints strict F-Gas compliance frameworks. The cost of using RedPoint F-Gas is calculable to reduce the net cost of AC F-Gas compliance paperwork management by 66%. The use of RedPoint F-Gas to enforce the F-Gas compliance framework keeps the local authority legally protected. Customer X reports that the system has made it easier to manage their F-Gas compliance records leading to peace of mind and improved legal compliance throughout the setting. RedPoint F-Gas is available via your Air Conditioning installer, authorised RedPoint Reseller or directly from our UK distributor. 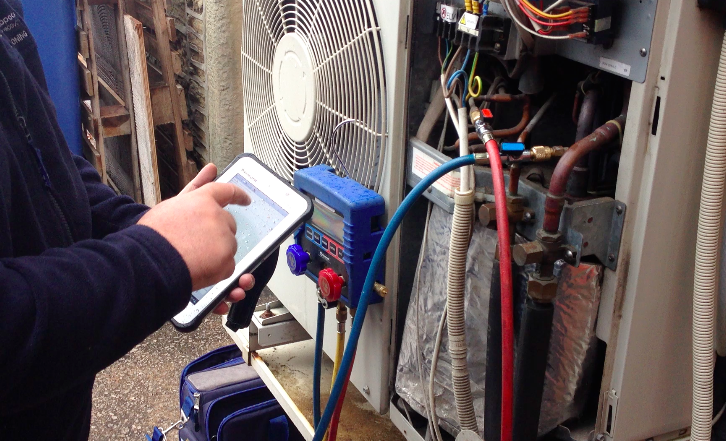 Any Air conditioning or Refrigeration service business more than a few years old will generally have generated a considerable volume of data. Worse still that data will generally be in more than one format, stored in more than one system and usually someone in the business will have the “special knowledge” of “how we do things”. Air conditioning engineers are generally not 40 wpm typists and you already have enough to do without having to get 2000 customer records and 5000 assets into a new computer system right? The solution to the problem is to ensure that your chosen solution provider offers an “on boarding solution”. On boarding is the process of taking your existing database information and importing that into a new system in a way that minimises manual data entry. On boarding isn’t for everyone. Some will prefer to just start from scratch and migrate slowly to a new system. in that way they can cross reference the results from old to new and evaluate if the new system is providing the right information they need. What matters is that the service is available should you need it. Our unique and flexible pricing options means that you only pay for what you use and the more you use, the cheaper it gets. We offer bespoke on boarding on request for a small charge and can help you export from your existing systems and import that data for you. We are pleased to announce the introduction of two new usage tariffs, a re named pricing structure and a simplified package selection matrix. As one of the most popular F-Gas tracking, HVAC, Air conditioning and refrigeration apps on the market today, we are striving constantly to make it easier for our customers to get the best return on investment in our software. Our latest tariffs Option 3 and Option 4 go alongside our re named offerings Team 1 and Single Engineer. Now every user can choose a package or upgrade path that is simple to budget and offers the lowest cost of use. RedPoint F-Gas has a simple and flexible pricing structure based on your needs. From the simple no upfront pay and go to our enterprise Option 4 tariff you control the costs. Don’t forget, all users get the same great software with no features disabled. Manage all your assets, service and install visits from one powerful platform. A complete mobile TurnKey solution for iPad, iPhone and iPad Mini. Can be bespoke tailored to your exact needs if requested¹. 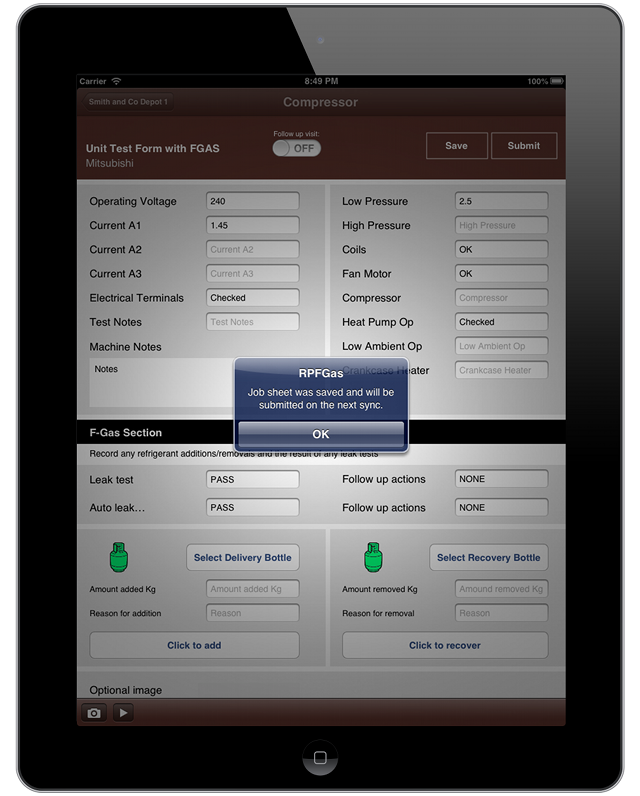 Get the RP F Gas App and your free engineer account today.. 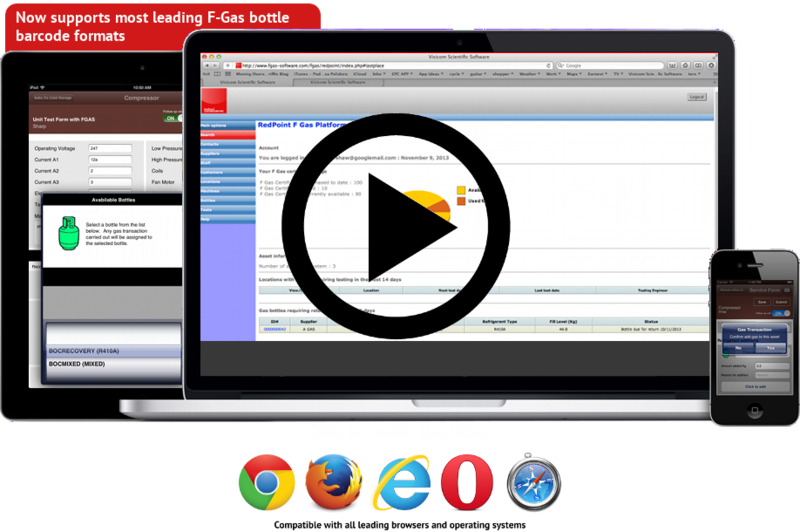 Simple and powerful Air conditioning and Refrigeration service software with built in F Gas compliance and bottle tracking. Download now, throw away that pen and take your HVAC / ACR business paperless today! Choose from a wide range of affordable PAYG and fixed cost packages.